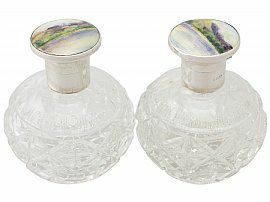 This fine pair of antique George V glass scent bottles has a circular rounded form. 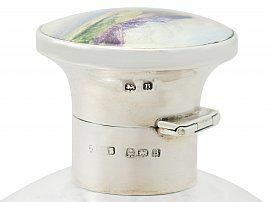 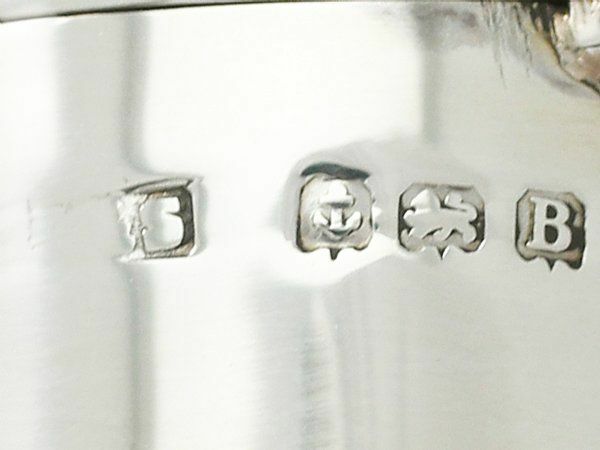 Each bottle is fitted with a plain hallmarked sterling silver mount with a hinged hallmarked cover. 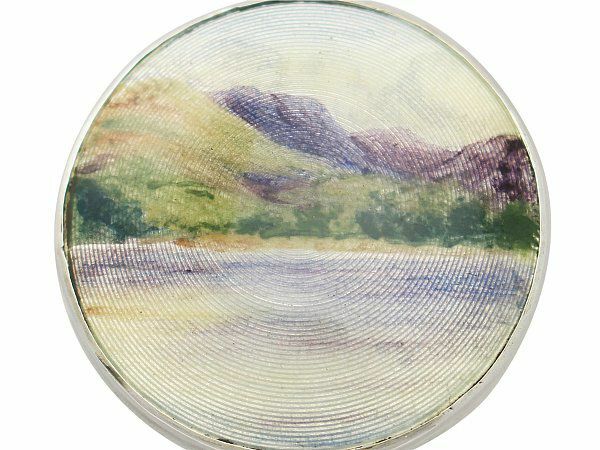 The covers feature fine and impressive hot enamel panels depicting very similar (but not identical) lakeside scenes with a mountain backdrop. 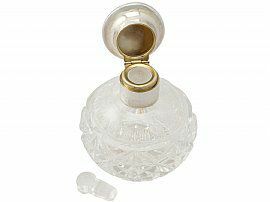 The cover of each opens to reveal the original glass stopper and gilt interior. 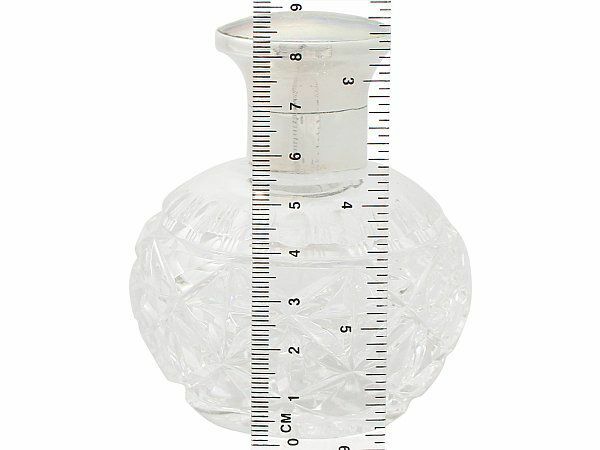 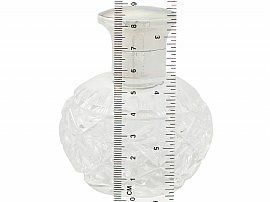 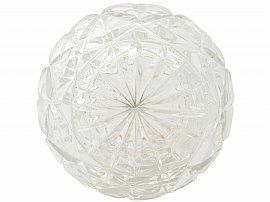 The glass bodies of the antique scent bottles are embellished with fine quality cut glass decoration in a geometric design with a band of egg and tongue style ornamentation to the shoulders. 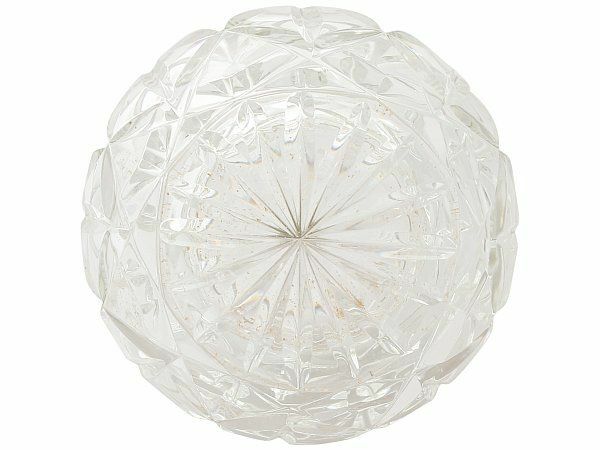 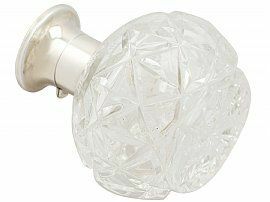 Each of these heavy glass antique scent bottles is ornamented with a star cut motif to the underside. 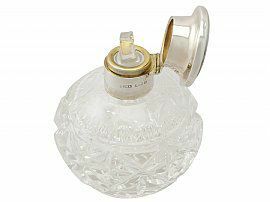 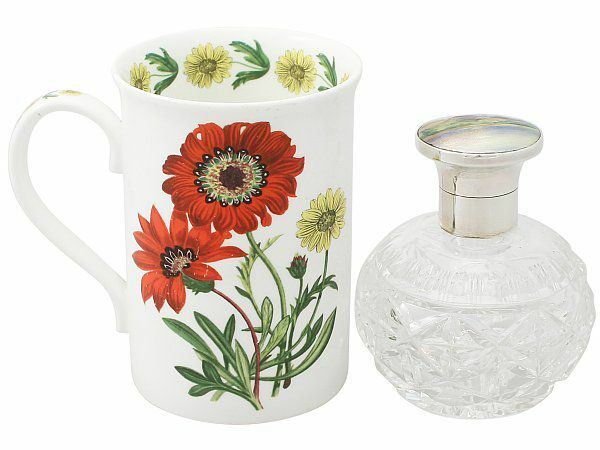 These scents have the same credentials and are crafted in the same style as the dressing table jar A3741, and all would sit well together. 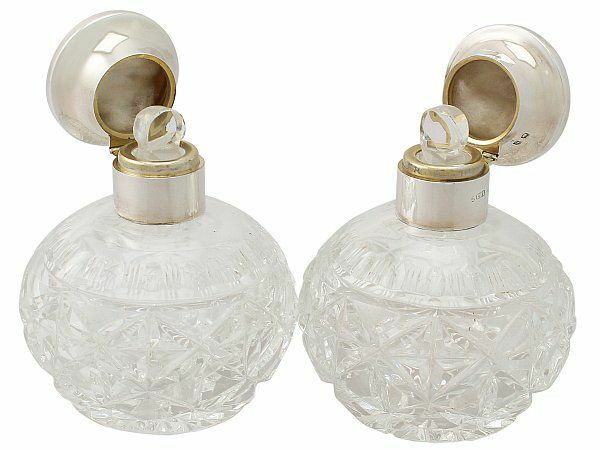 These antique scent bottles are a very good gauge of silver, exceptional quality and in exceptional presentation condition. 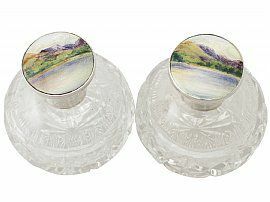 The glass and enamel are in perfect condition. 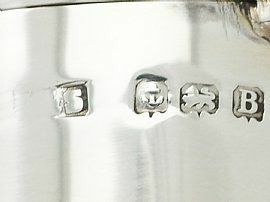 Full hallmarks struck to the surface for the mount and part hallmarks to the cover are all very clear; the hallmarks show signs of wear in keeping with age. Reflections in photography may detract from the true representation of these antique silver and glass perfume bottles.